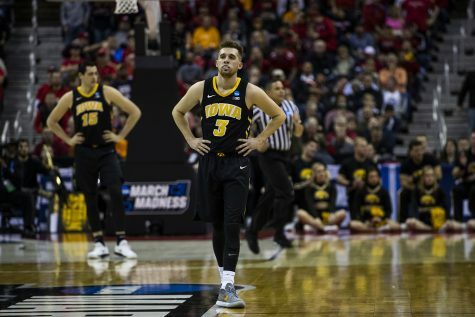 Four first-half 3-pointers and an emphatic slam dunk in the second half – the Joe Wieskamp era starts now for Hawkeye basketball. 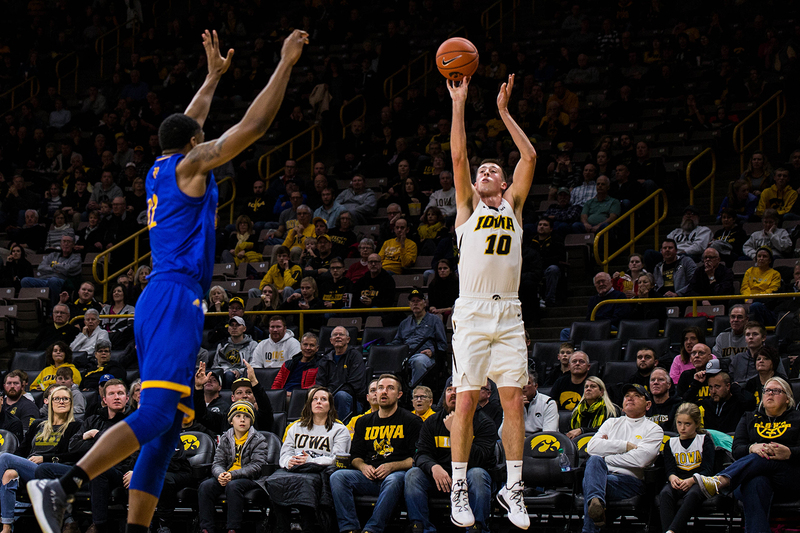 Iowa guard Joe Wieskamp shoots a three pointer during Iowa’s game against UMKC at Carver-Hawkeye arena on November 8, 2018. 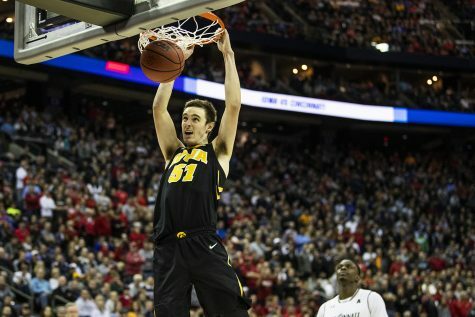 The Hawkeyes defeated the Kangaroos 77-63. A putback dunk to bring the Carver crowd to its feet? Check. 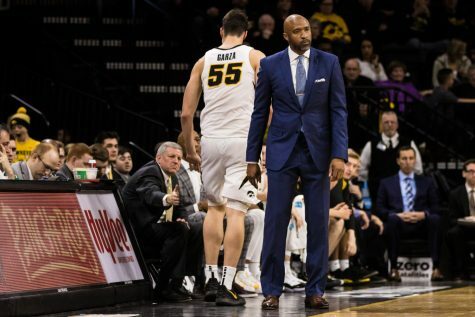 The Joe Wieskamp era is officially underway, and on Thursday, the freshman was one of Iowa’s bright spots in its season-opening 77-63 victory over UMKC. The Muscatine product scored a team-high 15 points and added 4 rebounds and an assist. 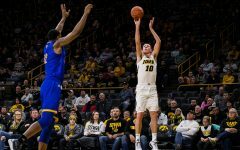 Wieskamp’s regular-season debut started with a bang when he drained Iowa’s first shot of the season – a corner 3-pointer. 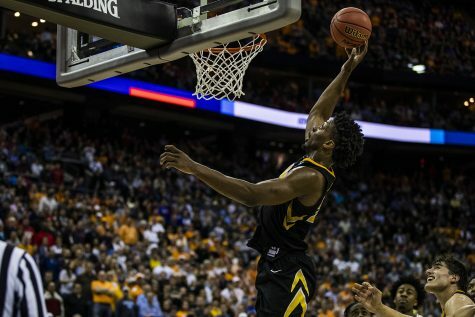 On most of his makes, Wieskamp was wide open, and part of that was credit to UMKC’s dedication to focusing on Tyler Cook and Luka Garza, as the Hawkeyes possessed a size mismatch (Cook’s listed at 250 pounds, 20 pounds heavier than UMKC’s biggest player). 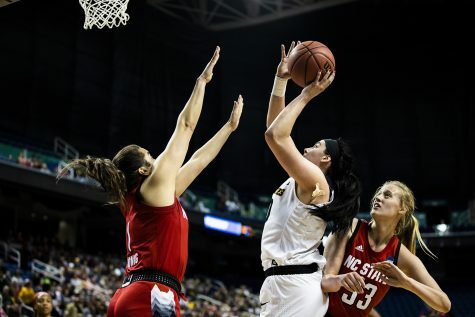 That extra defensive emphasis opened space along the outside, and Wieskamp capitalized on the defensive breakdown. “My mindset is always to come out and be aggressive, score when I can, shoot when the opportunities are given to me,” he said. 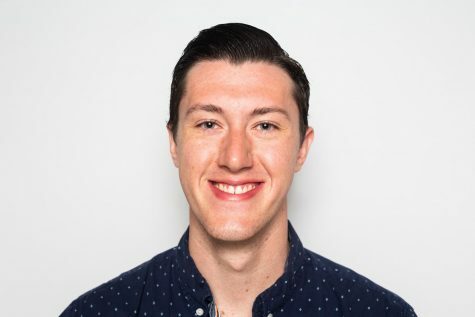 In the second half, Wieskamp got his points the hard way; his emphatic dunk off a Luka-Garza miss ended up being his most athletic score of the game. “He’s been doing this since he got on campus, so this is nothing new for us,” fellow guard Maishe Daily said. When Iowa hosted Guilford for an exhibition contest on Tuesday, Wieskamp posted a similar stat line. He scored 14 points, grabbed 5 rebounds, and dished 3 assists. He also added a pair of steals for good measure. 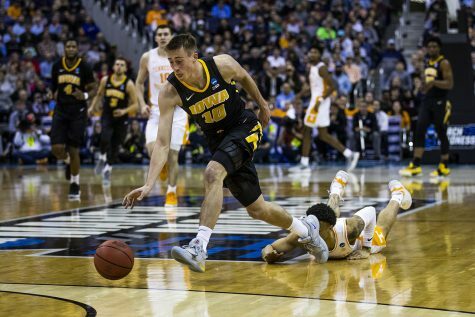 And while that outing didn’t count toward Iowa’s overall record or toward Wieskamp’s season stats, it was just a glimpse at his potential. 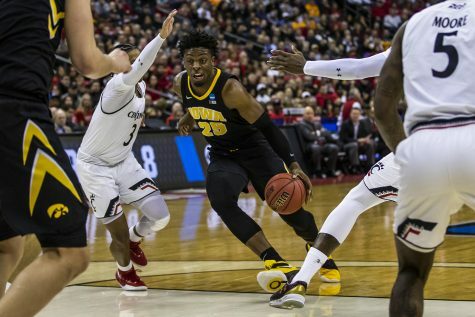 On Thursday, his first legitimate action as a Hawkeye, he didn’t miss a beat. Coming into the season, all eyes were on No. 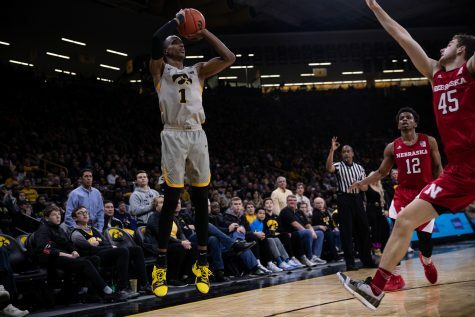 10, as he was arguably the most-hyped recruit under McCaffery. 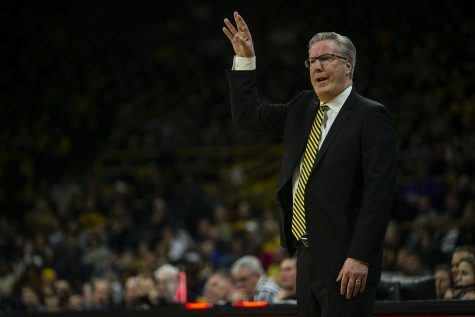 Thursday was just a taste at what the future holds, as McCaffery believes his guard has barely scratched the potential.